Over the weekend, the Board approved gutter cleaning to be done ahead of the power washing and painting project. This means that the gutter cleaning will begin today and continue through the week. The crew is set to start at building 824 and anticipates completing 3-4 buildings per day. As a reminder, powerwashing will begin tomorrow, Tuesday August 7th. Please remember to secure your blinds and windows as there will be crews on ladders and lifts. 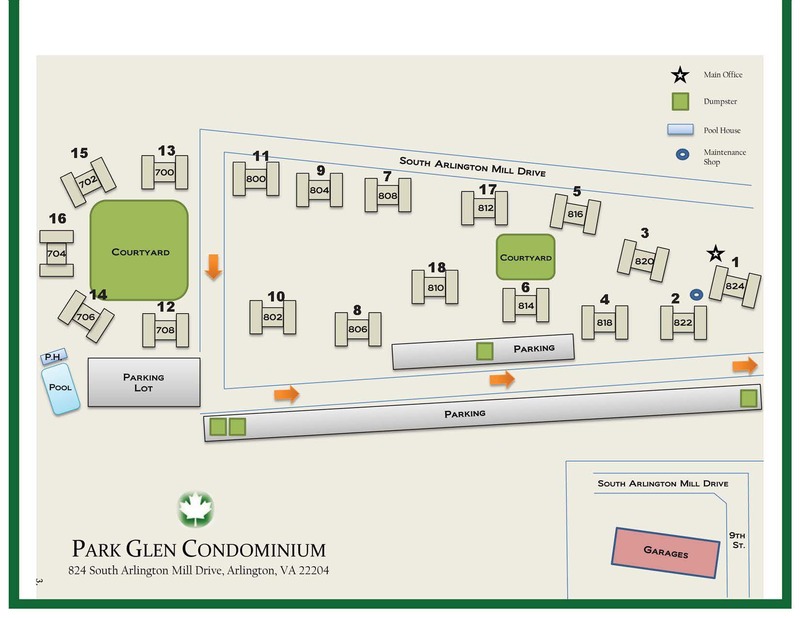 All 3rd floor terrace owners are reminded to please move all furniture, flower pots, trellises etc. to the center of the terrace to avoid damage during the power washing process and to provide easier access when painting begins. Thank you for your cooperation during this process. Updates will be communicated as buildings are completed. 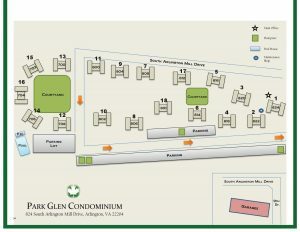 A map outlining the tentative schedule is attached. The first 2-4 buildings will be power washed starting Tuesday August 7th, and painting will begin on the first 2 buildings on Wednesday August 8th, taking approximately 4 days per building to complete. Should there be any changes to the above schedule, the Management Office will communicate them as soon as possible. If you have any questions or concerns about this project, please do not hesitate to reach out. 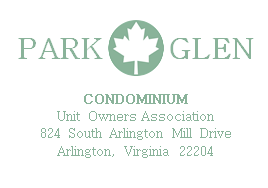 You may reach the Management Office at 703-931-6207 or via email at office@parkglencondo.com.